Growing up in Alabama, Joe Gillis had childhood aspirations of becoming a pharmacist. Instead, his entrepreneurial spirit led him to start Dutch Oil Company in 1972. In the mid-1980’s, after years of developing convenient street corners into fuel stations and convenience stores, Joe reached back to his childhood passion for the novel concept of including a pharmacy in these developments. His vision became a reality in Columbus, MS in 1990, with the development of Dutch Village. On top of the traditional fuel operation and c-store, this development introduced a full-service pharmacy, drive-thru bank, dry cleaners, and video store – effectively transforming the corner of Lehmberg Road and Highway 50 into a local hub for quick, convenient service and a wide variety of trade offerings. 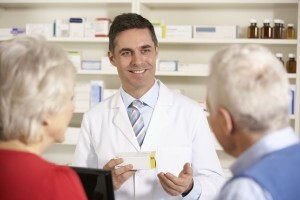 The pharmacy concept introduced at Dutch Village was an instant success. As a result, a new model was established, providing customers with unparalleled convenience and fast service, while remaining competitive with major national chains. Other pharmacies were soon developed, each working individually to meet the specific needs of the community it served. Maintaining a family culture has allowed Dutch Pharmacies to continue to grow and expand into new communities. Since 1990, the goal of Dutch Pharmacies has been to provide local communities with unparalleled speed and convenience in pharmacy services – all while maintaining competitive prices and delivering a personal touch. Today, each of Dutch Pharmacies’ locations operates as an independent local pharmacy, offering communities with a true “hometown pharmacy,” featuring service unmatched by national chains. Dutch Pharmacies is an EEO employer without regard to gender, race, color, religion, national origin, age, disability, protected veteran status, gender identity or expression, sexual orientation or genetic data.